PASTORAL CARE Members of the team await your call if you’d like some assistance. Contact either your elder or the co-ordinator, Janette Steele (01349861591), and we will make every effort to help. Please allow time for arrangements to made. LADIES BIBLE STUDY We continue in our Lenten Studies using Cover to Cover material. 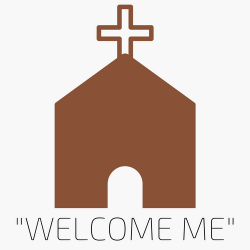 On Wednesday 14th March, we will look at Invitations from the Cross and specifically “Invitation to Adoption” from John 19:25-27 and James 1: 22-27. The meeting begins at 1.30 pm lasting approximately an hour. We’d love to have more join our group and a warm welcome awaits. Please do think and pray about coming along even if you can’t commit to every week. RIVER CAFÉ The next River Cafe takes place in the Church hall on Wednesday 14th March from 2pm-3.30pm. Why not drop in for some tea/coffee, home baking and the all important chat? We look forward to welcoming you there. Dingwall Christian Bookshop Newly arrived Easter Cards from Leprosy Mission. Also Easter cards from Toybox. Shop open daily Monday until Saturday 10am until 12.30pm. Children’s books for Easter. GUILD The Presbyterial Council of Ross/Tain has sent an invitation to their Spring Rally in Tain Church hall on Thursday 15th March at 7.30pm. The speaker is Rev Patricia Johnstone of the Scottish China Group. Please add your name to the list at the back of the Church if you would like to attend, so that transport can be arranged. Ross and Ross/Tain Presbyterial Councils will be meeting with the current Moderator Rt Rev Dr Derek Browning and his chaplain Ann Mulligan here at Ferintosh on Monday 23rd April. A buffet supper is planned (5.30pm for 6pm), followed by a meeting to be addressed by the visitors at 7pm. All Guild members, as well as others interested in the Guild, are invited. In order to make arrangements for catering, anyone who would like to attend should add their name to the list at the back of the Church. Requests for practical assistance on the evening will follow at a later date. You may have noticed the board in the hall displaying Bible verses and quotations from literature on this year’s Guild theme: Go in love! For the last couple of months that this theme will run, we are challenging everyone involved with Ferintosh Parish Church to add to the board illustrations of love in action. These can be items from newspapers or magazines, your own reports of actions of which you are aware, quotations, poems, artwork – anything which will help illustrate the theme. Just bring them along and pin them up where you can find a space. Easter at The Leprosy Mission We have received one copy only of The Leprosy Mission Spring catalogue. It is on the table at the back of the Church for consultation, along with several copies of the order form. It contains a variety of Easter cards and other gifts appropriate to this time of year, as well as “virtual gifts” (where you give a donation to a particular project in the name of the recipient, and receive a card to give to them). You can either send the order in yourself (by post, phone or on-line), or give to me, in which case we would only have to pay the postage and packing charge once. MID ROSS COMMUNITY ADULTS PLAN The Mid Ross Community Partnership (made up of several public and community agencies) are holding a meeting in the Church hall from 10am to 1230pm on Thursday 15th March on local priorities for services and the community and how we can work together. The meeting is open to professionals and the public. PASTORAL DUTIES Rev’d Stephen Macdonald can be contacted on 864273 if required for any Pastoral duties.